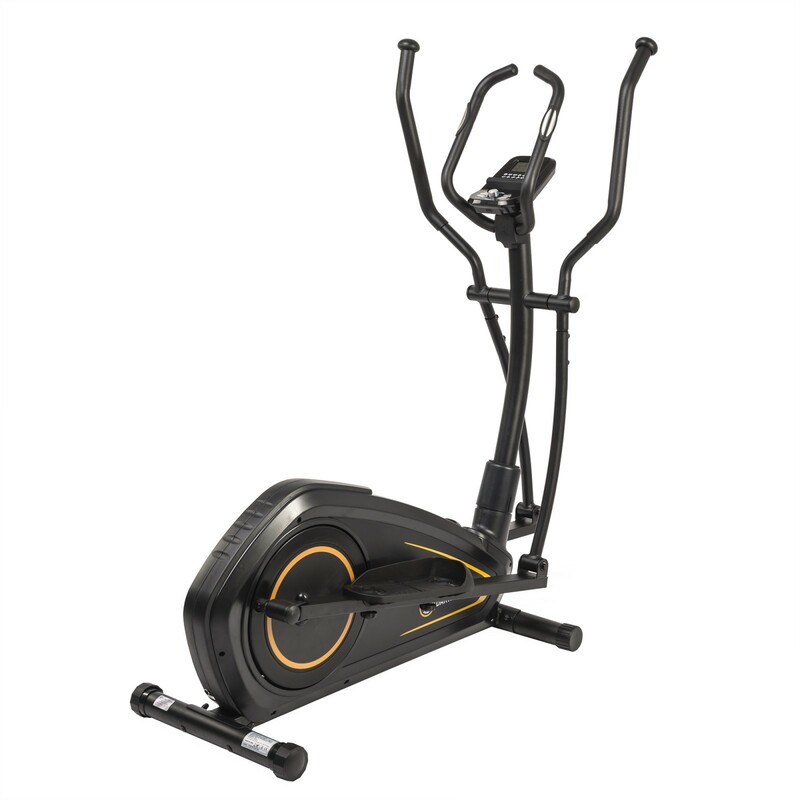 The Darwin elliptical cross trainer CT40 comes with an especially compact set-up dimensions and offers hence an optimal solution for regular cardio training at home - even in small training rooms. The resistance can be either adjusted speed-dependent in 16 levels or speed-independent precisely to 5 Watt. In this latter mode, the resistance output is always constant, that means that when you pedal quicker, the resistance is lowered and vice versa. Hence, this mode is quite well for analysing the own training performance. For an optimal training experience, the Darwin elliptical cross trainer CT40 is of a careful produced. All joints engage perfectly and that guarantees a constant concentric run. The magnetic brake system works maintenance-free and is comfortably quiet. Hence, you can listen to music or watch a film while exercising. The big treads are non-slip and comfortably padded. In addition, transport wheels are mounted on the front base. 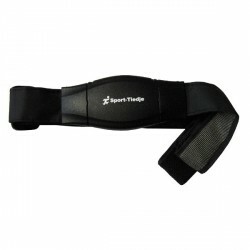 After training, you can quickly move your fitness machine. Darwin elliptical cross trainer CT40 add to comparison list.